I’ve now been to a few meetings at the Parnell community centre, which for most of its life was the NZ Institute for the Blind. The door handles in this room are still baffling. 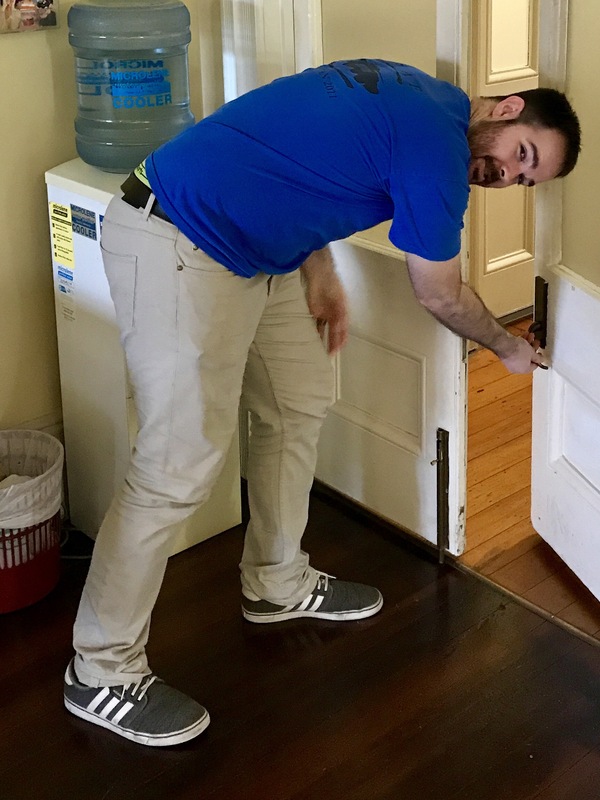 Short of being confined to a mechanic’s creeper, there’s just nobody who needs the doors this low, as demonstrated by my colleague Alex.